Nothing happens when you click the “attach” button in the app? When the Attach My Account button is unresponsive, it's because the phone is unable to acquire a push notification token. This token, from Apple's Push Notification Service (APNS) or Google Cloud Messaging (GCM), is sent to FlashAlert when the account is attached, and is used to send push notifications to you. If you get the message that your phone is not connected to a network, try doing your install on a different network (i.e. home wi-fi, office wi-fi, cellular, etc.). Make sure that the internet is accessible from your device. If you are running a version older than Android 4.3 AND your device is on a network such as a corporate or school wireless connection you may need to check with your IT staff that they are not blocking outbound connections to port 5228, 5229 and 5230. Newer versions can use port 443. 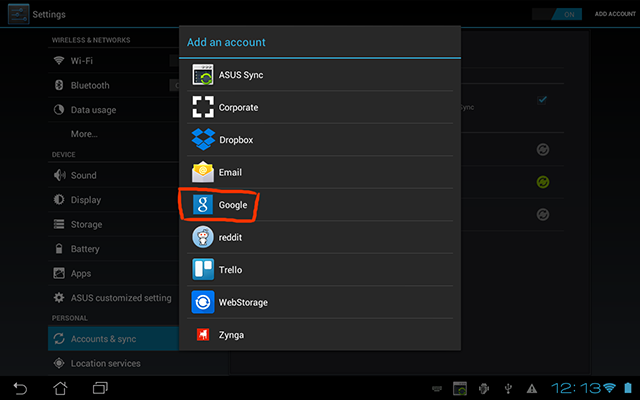 If you are running an older version of Android (prior to version 4.0.4) you will need a Google account enabled on your device. Generally if you installed FlashAlert Messenger with Google Play, you should already be set. The example below is for a Android 4.0.3 tablet. Your own setup may vary slightly. 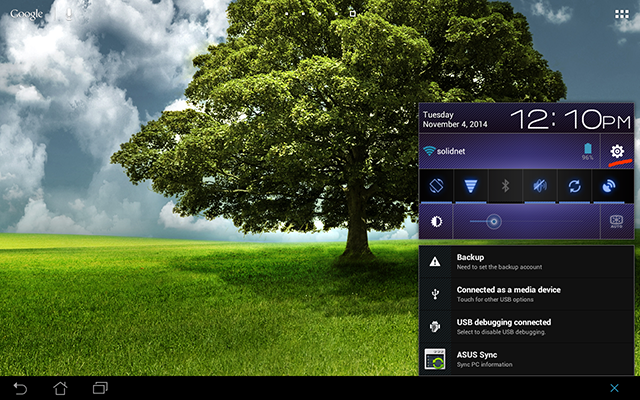 From the home screen, bring up your settings by tapping on the clock, and then pressing on the gear icon. 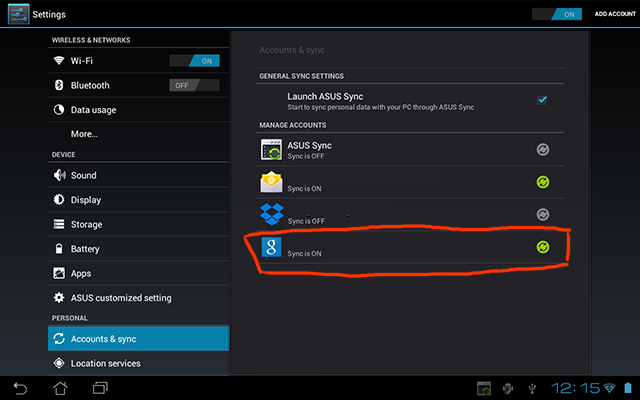 Alternatively, you should also be able to find your settings under the full list of apps on the device. Find the Accounts & Sync tab. It should be under the Personal section. If your Google account is not listed under accounts, click the Add Account button. Enter your login and password for your Google account. 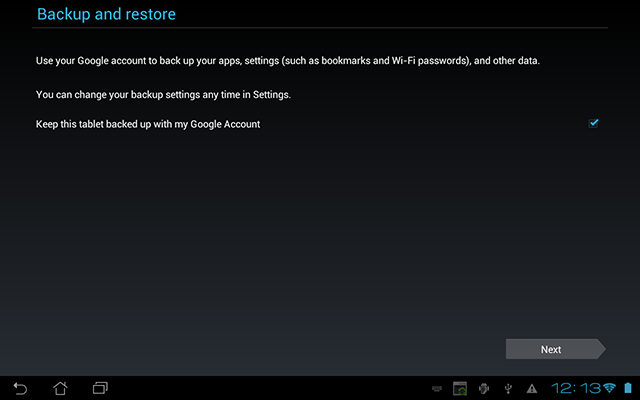 You can leave this unchecked if you do not want to back your device up with your Google account. Press Next. Your Google account should now be listed. You can also try hard-restarting FlashAlert Messenger and/or rebooting your device if this fails to help. If your Push Notifications are disabled in your iPhone settings you will be unable to link your account. From your iphone home screen, find the Settings icon (looks like a gear). Find FlashAlert in the list of apps and click on it. 3) Click on "Allow Notifications." If this screen looks like this, you'll need to turn on "Allow Notifications." Make sure that the phone is connected to Internet. If your settings look correct and you still don't attach, try rebooting the phone by powering it off and on. As a last resort, try deleting the app and reinstalling it.